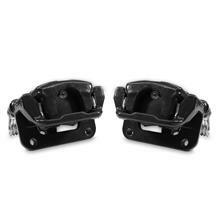 If I decide to upgrade my 2000 V6 with these calipers will I be able to use my factory parking brake cables or is there a set of Cobra cables I would have to buy? No new e-brake cables needed! Your factory parking brake cables will connect without issue.